When it comes to an immersive holiday atmosphere, Christmas at Disney's Hollywood Studios is one of the best. 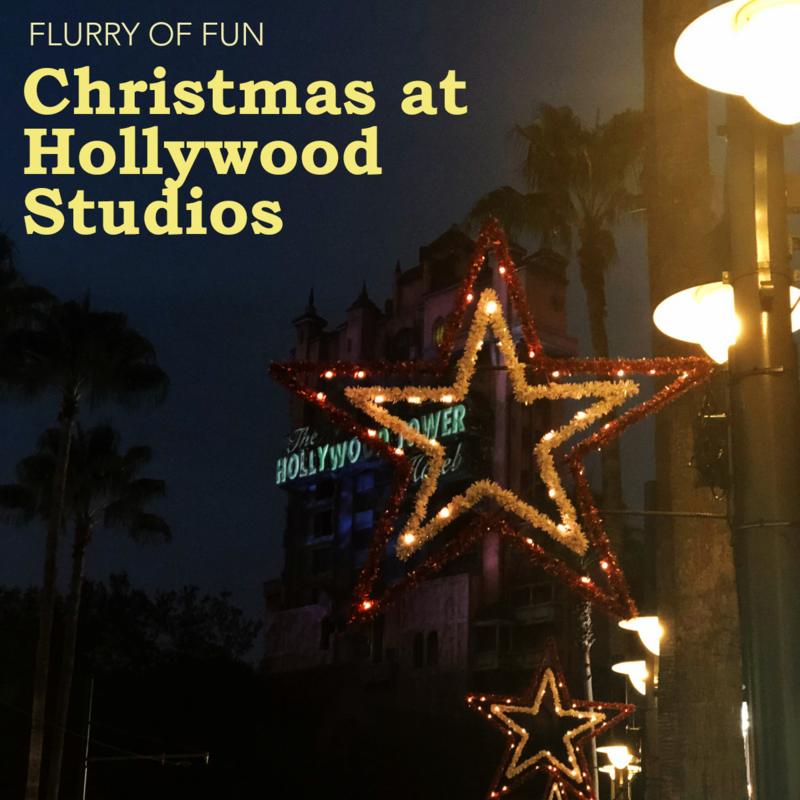 Billed as a "Flurry of Fun," Christmas at Hollywood Studios mixes the Christmases of yesterday with high tech shows, festive music, themed foods, and LOTS of decorations. One of the best parts about the holiday offerings at Hollywood Studios is that nearly everything Christmas related is included with your park ticket, including this adorable show. Shown nightly from November 8 - January 6, 2019, Jingle Bell, Jingle BAM mixes seasonal music, spectacular special effects (like snow! ), and super bright lasers to create a fun and festive holiday spectacular on the front of the Chinese Theater and the surrounding buildings. This show is a definite "must do" and since it is typically shown just once nightly, it is worth it to make plans to see it. Much like with Star Wars: A Galactic Spectacular, the space for the best views is limited so we recommend snagging a spot about 45 minutes before the show starts. A special "Jingle Bell, Jingle BAM!" dessert party is also available. More info on that below. 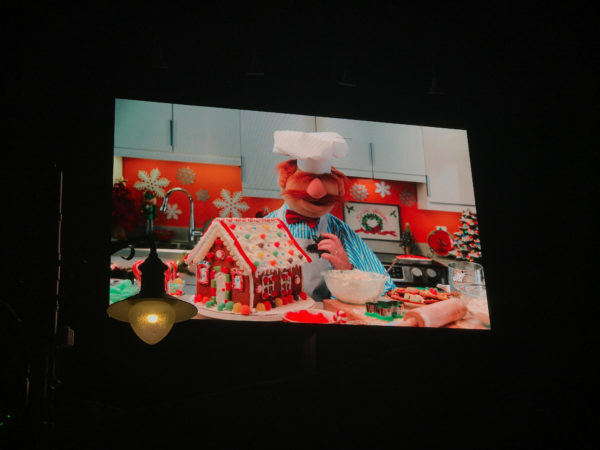 In this show, Disney masterfully transforms the front of arguably one of the most terrifying things at Hollywood Studios into the backdrop for an assortment of magical holiday vignettes. 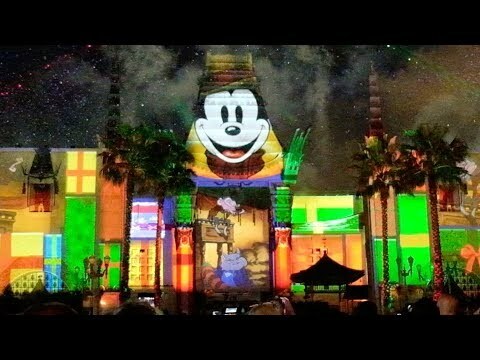 This show uses projection technology, and since the Tower of Terror sits up on a fairly high hill, there's really not a bad view to be found. The entire show lasts about 15 minutes long, and it is shown continuously from dusk until park closing so you can pop in whenever to catch it. Each holiday vignette begins with a brief video on the billboards along Sunset Boulevard, so you'll want to position yourself so that you can see one of those and the Tower of Terror. 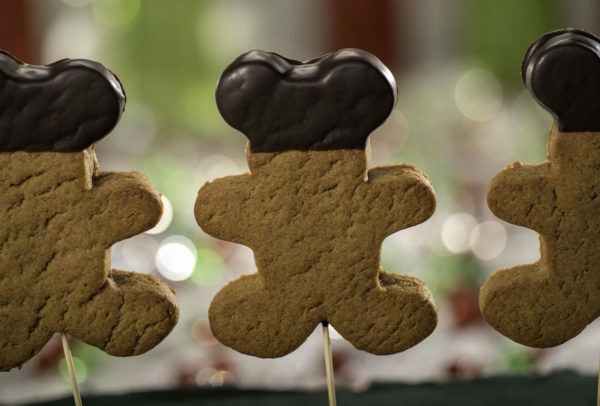 Character meets at Disney World are always popular, and they become even more popular when the character is in cute holiday attire. 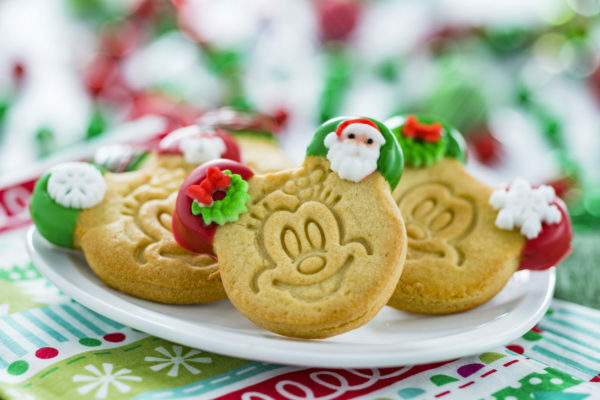 Plan to budget around 20-30 minutes each for Santa and Buzz, and allow about 40-60 minutes for Santa Goofy and Woody & Jessie. Note: the week of Christmas those wait times will likely increase with the crowds. The big man himself meets at Once Upon a Time which is on Sunset Boulevard near the entrance for the Beauty and the Beast - Live on Stage show. While you wait, Cast Members have everything you need to write a letter to Santa. Of course, on December 24 Santa gets a little bit busy, so from December 24 - December 31, Santa Goofy steps in to help here. You can catch Goofy dressed up as Santa during the day. From early November until December 23, he is on Grand Avenue (sort of across from BaseLine Tap House). Then, on December 24 until December 31, Santa Goofy takes over the real Santa Claus at Once Upon a Time on Sunset Boulevard. Santa Goofy also is available to meet at the Jingle Bell, Jingle BAM! 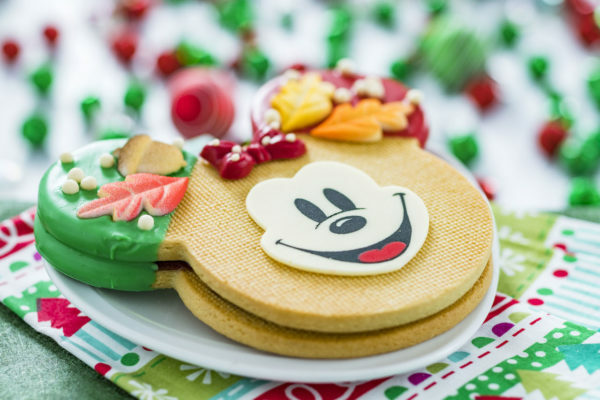 Dessert Party and Minnie's Holiday Dine, so if you are planning on attending either of those you could skip meeting him in the park. Santa Goofy's schedule can change, so check the Times Guide or the My Disney Experience App for appearances. You can meet Buzz and Woody & Jessie in their holiday attire over in Toy Story Land. If your goal is to hit up both, Woody & Jessie tends to have a longer line than Buzz so plan accordingly for that. Buzz typically meets just inside the entrance to Toy Story Land along the fence and Woody & Jessie meet across the way from there by the queue for Toy Story Mania. When it comes to winning the contest for the best park-wide decorating for the holidays, Hollywood Studios is one of the top contenders for first place. Drawing on the Old Hollywood vibe of the park, the decorations (aside from Toy Story Land) and seasonal music all have that fun 1950s feeling. To catch all the details, you'll want to be sure to spend some time exploring the park both during the daytime as well as at night. 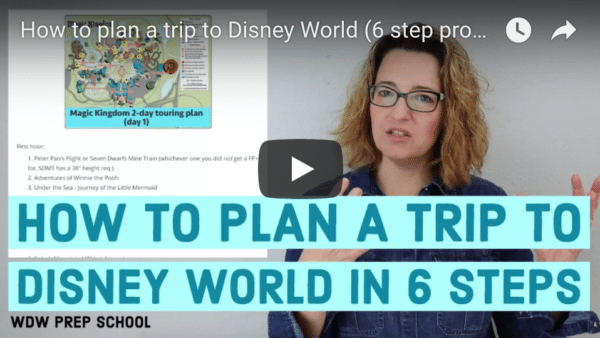 And since Hollywood Studios often closes relatively early, there isn't a whole lot of time between sundown and park closing, so be sure to plan your evening activities to maximize the time you have. The crown jewel for the park is the stunning tree at Echo Lake. 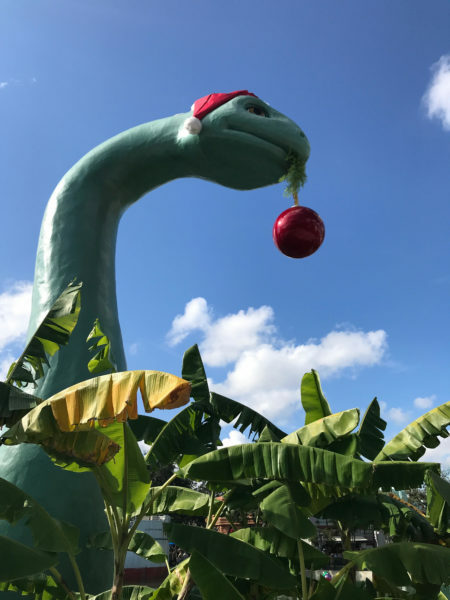 This fabulous tree is joined by Santa Gertie as the beloved resident giant dinosaur of Echo Lake gets her own decorations, as well as a collection of large brightly-colored ornaments floating in the water. Andy and his toys love Christmas, and in preparation of the big day they've added lots of cute holiday touches here, too. 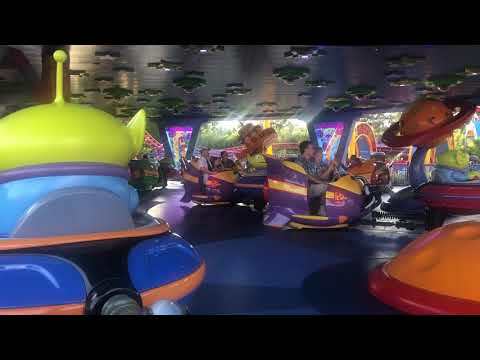 Even if you aren't planning on riding any of the rides in Toy Story Land, it is still worth a walk through. For the best effect, wait for the sun to go down. Not only does Woody get a red and white striped scarf, you'll also notice the audio has been updated for the holidays as well. All of the seasonal character meets have PhotoPass photographers. In addition, many of the other PhotoPass photographers can do seasonal Magic Shots, so be sure to ask! Minnie, Mickey, Daisy, Donald, and Goofy all get decked out in their best holiday attire for this fun holiday party. Santa Goofy greets guests at the entrance and the other four circulate from table to table for photographs. This buffet-style holiday meal is served up for both lunch and dinner from November 6, 2018 - January 7, 2019. The cos is $52 per adult, $31 per child (plus tax) and the Disney Dining Plan is also accepted (1 credit). 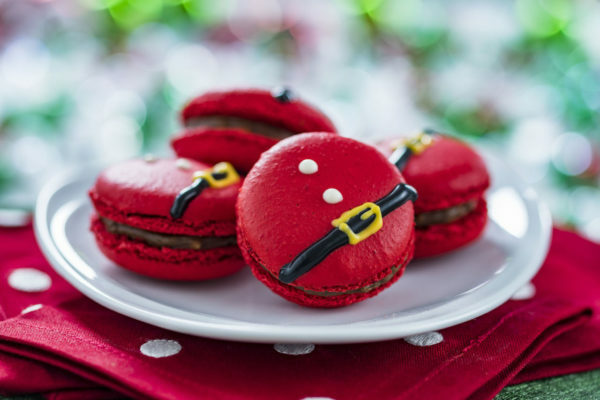 You can book Minnie's Holiday Dine online or by calling (407 )WDW-DINE. The festive Jingle Bell, Jingle BAM! 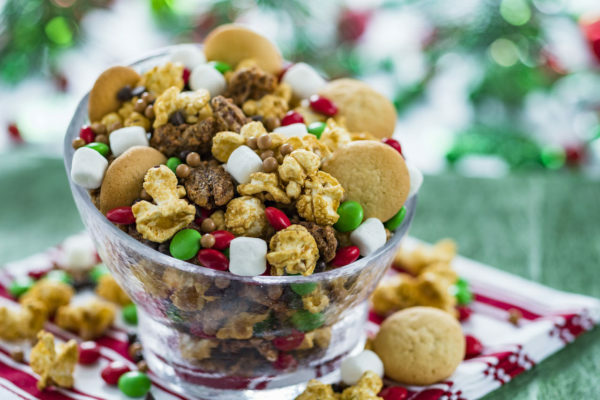 nighttime spectacular has a special dessert party option. Available November 6, 2018 through January 6, 2019, this fun addition is the perfect way to cap off an evening of holiday festivities. Prices vary depending upon the date. You can book the Jingle Bell, Jingle BAM! 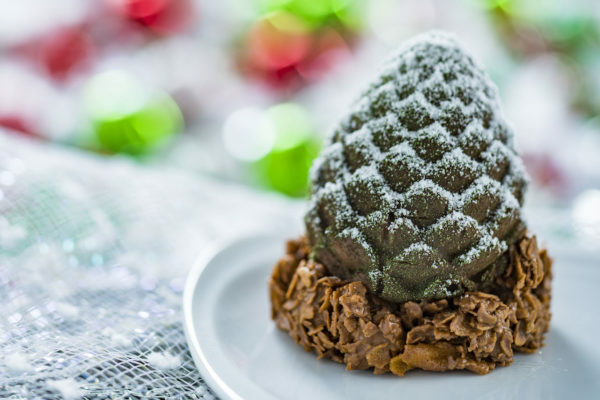 Dessert Party online or by calling (407 )WDW-DINE.